AUSXIP Renee O'Connor News - On Clover Road Opens Friday September 21! Find out More and Grab Your Ticket - Limited Run! On Clover Road Opens Friday September 21! Find out More and Grab Your Ticket - Limited Run! Renee is starring in a new theatre show "On Clover Road" that Renee describes as "edgy"
A seedy, abandoned motel room is the location of Steven Dietz's On Clover Road, where a desperate mother unites with a hard-boiled private investigator in the hope of reuniting with her cult-member young daughter. 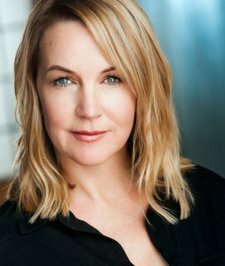 Opening September 21 in its Los Angeles premiere at Little Fish Theatre, On Clover Road spotlights a star turn by actor Reneé O'Connor and is directed by StageSceneLA Award Winner and LFT company member Holly Baker-Kreiswirth. Kate is a determined mother who has set up a meeting with Stine, a cruel interrogator, at the Cloverleaf Motor Hotel. Kate wants Stine to kidnap her daughter away from the cult she joined four years ago when was 13, and "de-program" her. When Stine brings a disheveled Girl back to the room, Kate has doubts as to her real identity. After the leader of the cult, Harris McLean, is enticed to the room, more than passions are ignited. Barred doors, a gun, lipstick, rope, crunchy peanut butter... nothing is as it seems. And something will go wrong. On Clover Road will run Fridays and Saturdays at 8:00pm September 21 through October 20, with one Sunday 2:00pm matinee on October 14, which features a special Talkback session where the actors and creative team are available for 10 to 15 minutes for a post-show discussion with the audience.